My wife and I were in a car accident Friday night. The car is undrivable. She has a broken collar bone and wrist and I am just bruised up. But other then that we are fine. We were hit on the side by another car that ran a stop sign (we were not at fault). So, if my wife wants a rental car, should the other insurance company pay for it? We called our insurance that theirs. They gave us the local branch office but are not open until Monday. They should be able to pay for a rental, once they have completed their investigation. Also, not all carriers accept a direct billing from the rental company. Some will have you submit the bill after the rental is turned back in. Thanks! I know that this process is slow and not so fun, so I am not looking forward to it. Have you heard of Chubb Insurance? I looked up their site and did homework there. That is the insurance of the kids who hit us (they were maybe 16-17 years old). I don't use them for auto. I haven't had a problem with them for homeowners though. midwestbroker, plz write about this situation. I hope all will be good. In this cases, if you have rental reimbursement coverage on your auto insurance, your company will pay for the rental expenses and then it'l be reimbursed from the other company. If you don't have rental coverage,you still can rent a car and provide the rental company with the other party's insurance information. I know for sure that Enterprise is open on Saturdays as well, so you'll be able to rent a car there(it's up to you to decide where you want to rent the car). 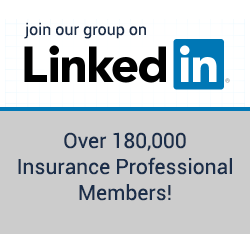 California Business Insurance | CA Health - Life | Insurance Quotes by ABS Insurance, Inc.
Hopefully you have rented a car by now or have had yours fixed. I would say Chubb is one of those "elitist" insurance companies - they do specialty insurance, or perhaps rather, insurance for special people, like celebrity homes. You should have no problem with them. I hope there are no long-term effects with the injuries to your wife, and a very speedy recovery! Was the other driver on a cel phone or something? How awful. Isn't this post like..two years old? that you're responding too! We all know Midwest is ok.
Hey, what fun is it if you don't randomly respond to extremely old posts, and act like they are brand new. It's kind of like buying old leads. It lets everyone get their $0.02 in, but at an extreme discount since the problem has long since gone away. Can I submit this thread for a refund? Parking lot accident...How can it possibly be 50/50?